Can Polymerics, Inc use the name Teenie Beanies? 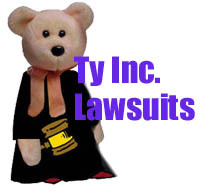 Ty Inc. v. Polymerics Inc! 10/20/03: Ty Inc v Softbellys Inc. - Softbelly’s manufactures a very similar looking and feeling product that it calls "Screenie Beanies."